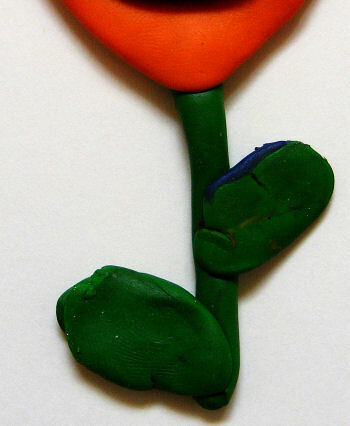 From red, orange or yellow polymer clay, shape an egg shape. Trim the top into points. This is your tulip. Roll out the green clay to form a stem and leaves, and press into place. 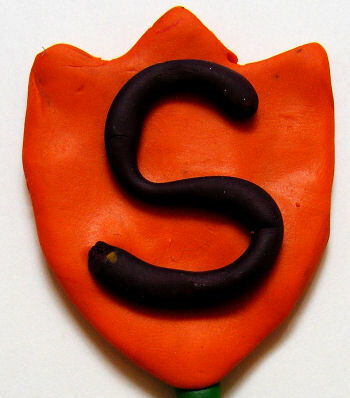 Make a sausage shape and shape into an initial. 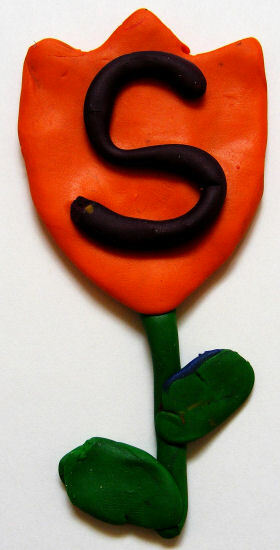 Press it onto the tulip. Ask an adult to bake your tulip in the oven according to the manufacturer's instructions. Glue a magnet onto the back.